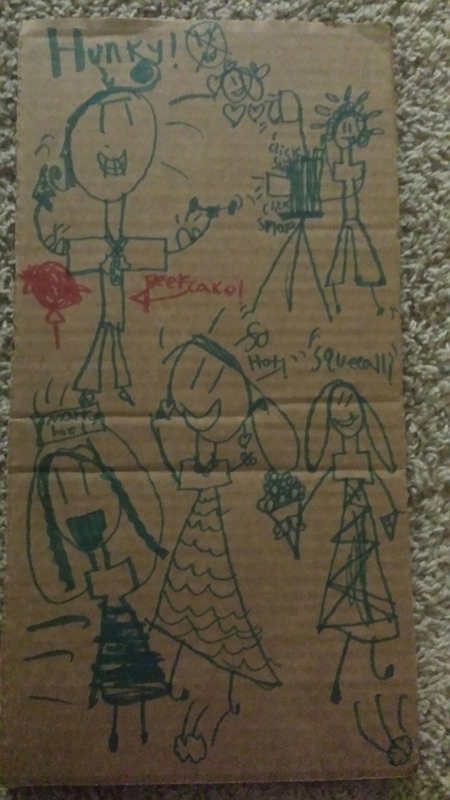 9yo’s pic of a “hunky” guy, photographer, and swooning girls (don’t ask). guy’s name is beefcake. LOL she tried to say it was justin beiber but I said nothing beiber related is allowed in our house. After she drew a hunky robot called… wait for it. …beepcake!